If you vacationed abroad or found love on internet thru some reputable marrige agencies K-1 visa for you. In order for you to bring a foreigner as your prospective spouse they must have a valid visa enabling him or her to marry an American citizen. Lucky for the two of you we can do all the legal for you to get your fiancee to US as soon as possible. Most of these K-1 visa companies will sell you some information and documentation required for the visa. In many cases, much of this information we can give you FREE, but you should look for someone who specialize in K-1 visa and guarantees your success. We also able to to translate any pertinent documents for you and your fiancee. Once you have gathered the information and documents we will create a visa petition for you. As with all immigration issues, you should provide us complete and accurate answers to all questions, and you should be careful to ask any questions you may have. You will have to provide us information about how you met, where, and when. There will be other questions regarding what your future plans may be as well. It is particularly important to make sure you give honest answers when requesting fiance / fiancee visas in order to avoid any implication that the relationship is anything other than legitimate. After you complete K-1 application, as your attorney, we going to determine whether your answers are effective. Once we agree that the application is accurate, we will submit it to the USCIS (formerly the USCIS). Because is done correctly, your chances of getting a visa for your fiancee are very high. Individuals interested in entering the United States to marry an American citizen, and reside in the U.S. should apply for a K-1 Visa. 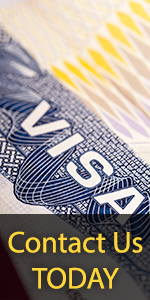 The K-1 Visa enables you to apply for conditional permanent resident status. A fiancee of a US citizen may apply for a nonimmigrant visa, which allows US entry for 90 days. Within that 90 day period, the US citizen and the foreign fiancee must be married. The fiancee must then apply for permanent resident status in the United States. The American citizen should first file a petition, Form I-129F , Petition for Alien Fiance(e), with the USCIS having jurisdiction over the place of the his/her residence in the U.S. The approved petition will then be forwarded by USCIS to the American consular office where the benecifiary will apply for his/her visa. A petition for K-1 status is valid for a four months from the date of USCIS action, and may be revalidated by the consular officer. The consular officer will then notify the beneficiary when the approved petition is received and provide you with the necessary forms and instructions to apply for a K-1 Visa. Because you are an intending immigrant, you must meet certain requirements similar to the requirements of an immigrant visa applicant. Two recent photographs 1 & 1/2 inches square (37mm x 37mm) , with the entire face visible. The picture should be taken before a light background and without head covering.